This correspondent spent the last few days in Brisbane and there’ll be more on that later. Ambling home one evening, I passed a small Korean cafe/restaurant intriguingly called Petit Paradis Cafe. 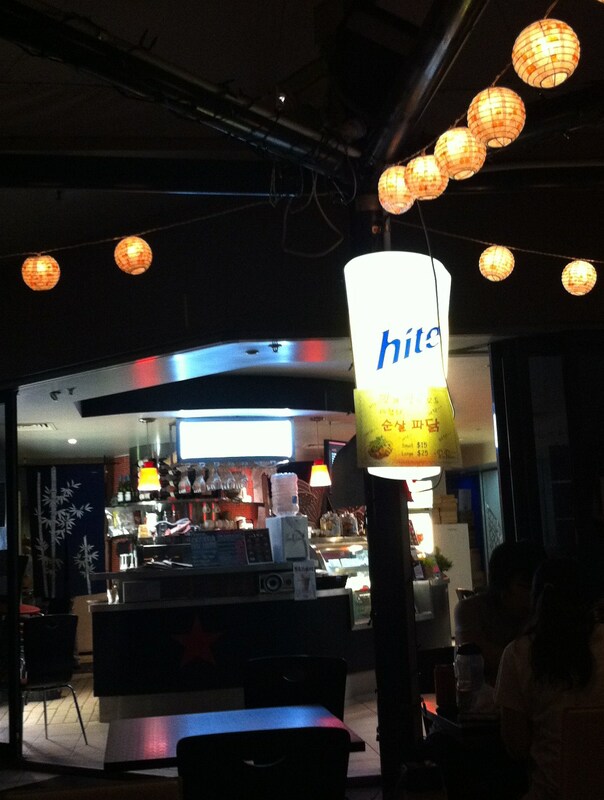 It beckoned me in with its Hite advertising light. During my time in China, I would have the occasional Hite or Cass stubbie, as there were a large number of Korean restaurants in Beijing. Beer is not Korea’s greatest gift to the world and an easy addition of one letter to easy name can sum things up. 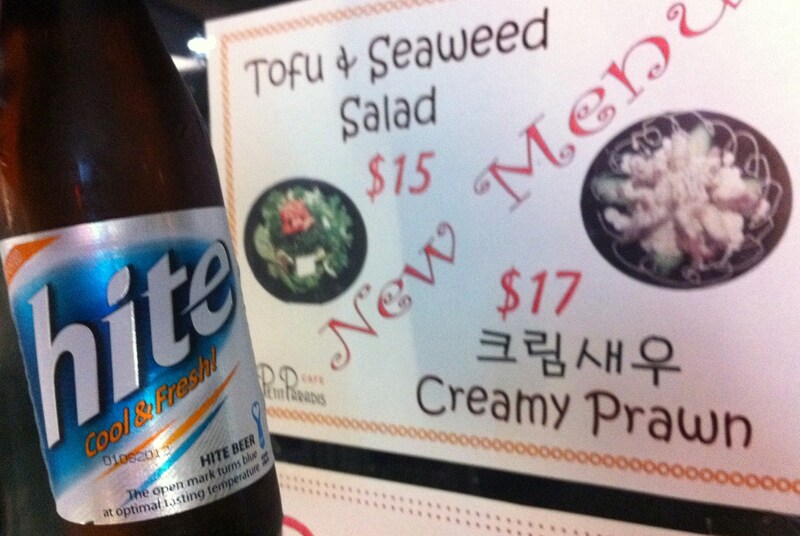 Hite is Korea’s number 1 selling beer. The Petit Paradis cafe is at the bottom of what appears to be university accomodation. The decorations, the cheesy music and the signs advertising some of the bill of fare took me back to Beijing and the numerous small restaurants they have there. It probably tastes better than it sounds, but it would be an effort to have a crack at “Creamy Prawns”. You’ll note at the bottom of the Hite bottle is an indicator to tell you when your beer is cold enough to drink. I’ve seen this little trick on a Polish beer as well. 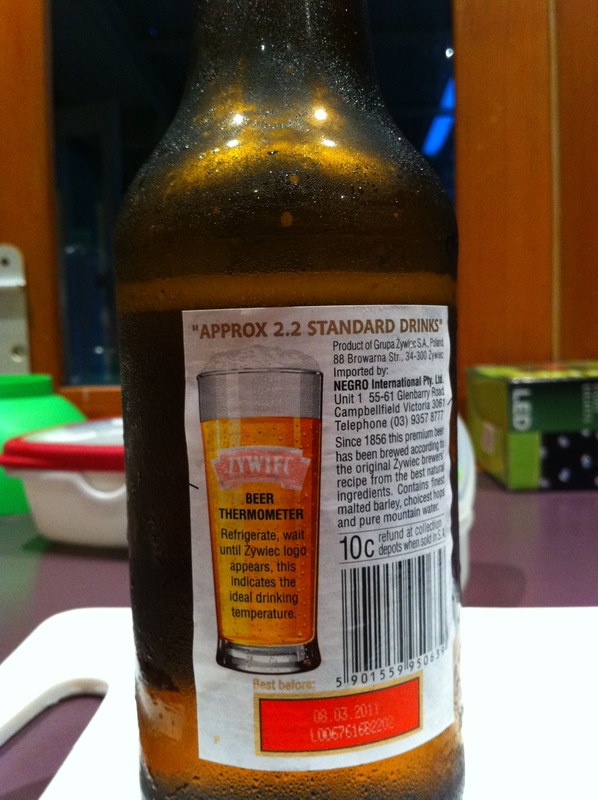 In Australia we are able to bombarded with advertising about getting beer to an optimal temperature. Australian Brews News, which one of the leading sources of beer news in OZ, has published a press release by VB describing all the ways we’ll be able to ensure that VB is cold enough to drink. It’s ridiculously high-tech and it’s worth reading Aust Brews News views here. I think the little label thermometer is enough – the VB stuff is going to be overkill. Craft beer led Greek recovery?